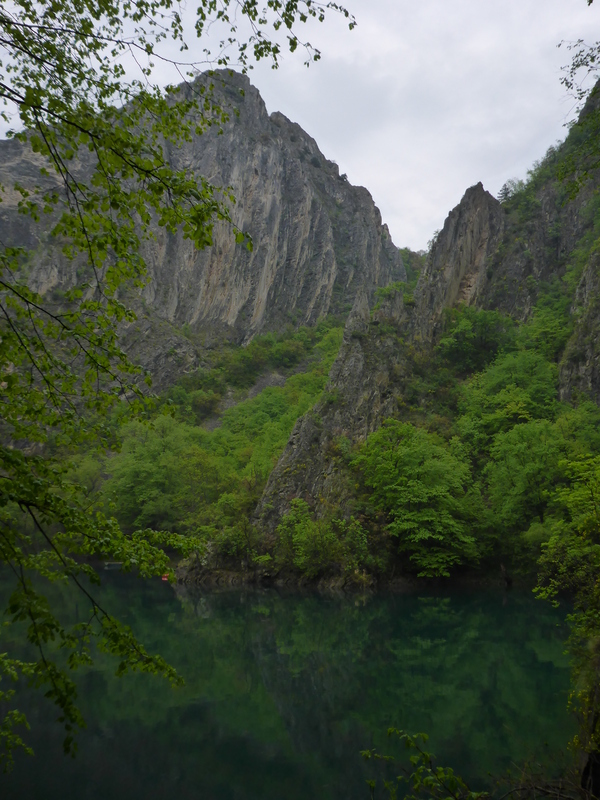 Only about half an hour from Skopje, you will find Lake Matka. 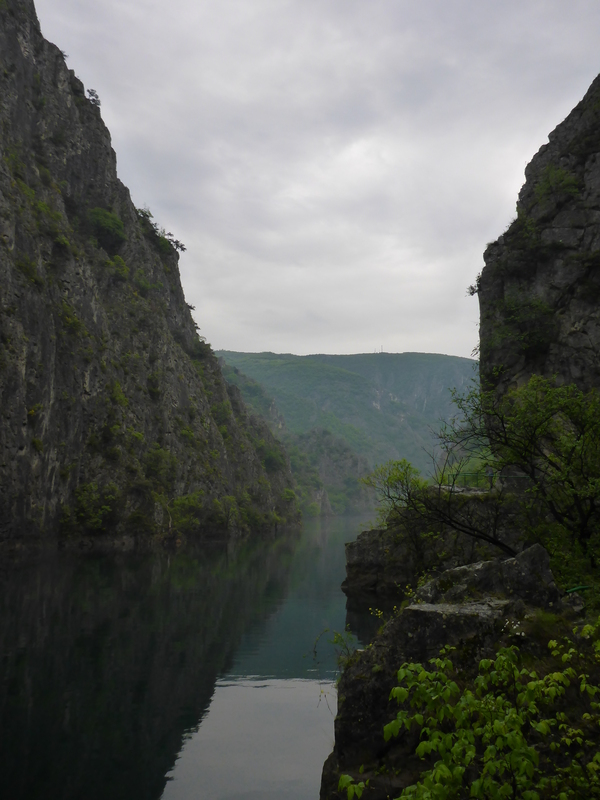 The river Treska that run through the Matka Canyon was dammed up sometime before World War 2, to serve the electrical power plant. 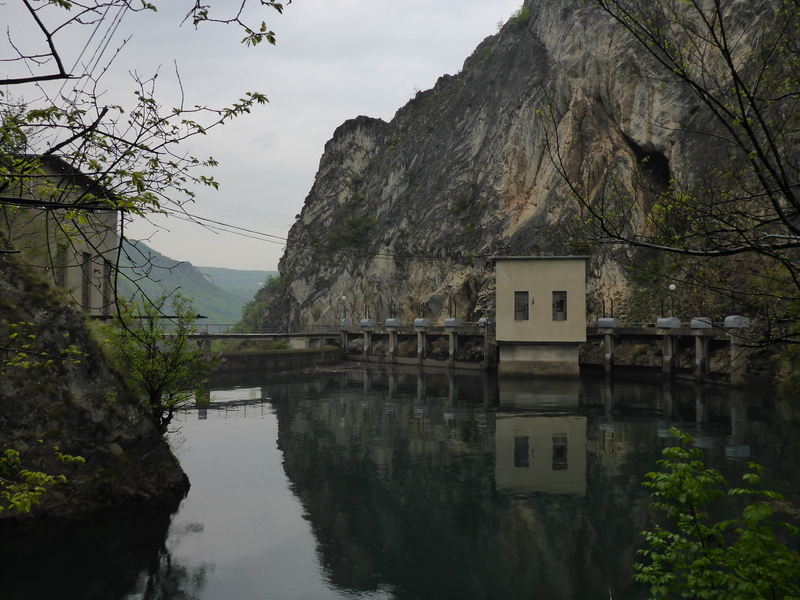 The power plant by Lake Matka. Beautiful nature and fantastic scenery is not exactly what I imagine when I hear the word power plant, but that is what we found. Once you just pass the dam and it is out of sight, it really quickly gets out of mind as well. 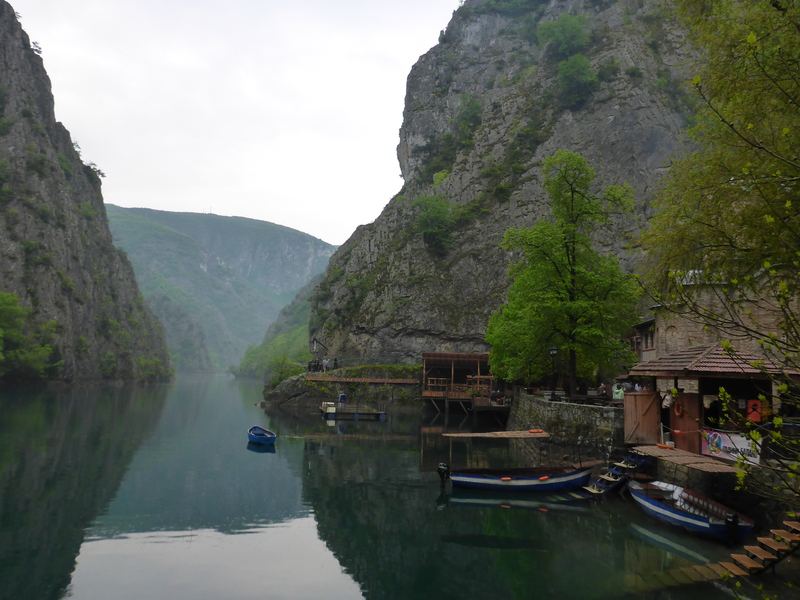 Lake Matka, with boats and kayak rental, as well as a hotel, restaurant and the Church of St. Andrew. The steep green clad cliffs rises high above the lake, and a pedestrian path all along the lakeside gives the opportunity for an easy hike. If you prefer watching the scenery pass by from a boat or kayak instead, that is also possible. At the beginning of the path you will find a hotel, a restaurant with a large terrace, and the Church of St. Andrew built in 1389. Church of St. Andrew built in 1389. If you do not have your own car, there are regular buses from Skopje to Matka. 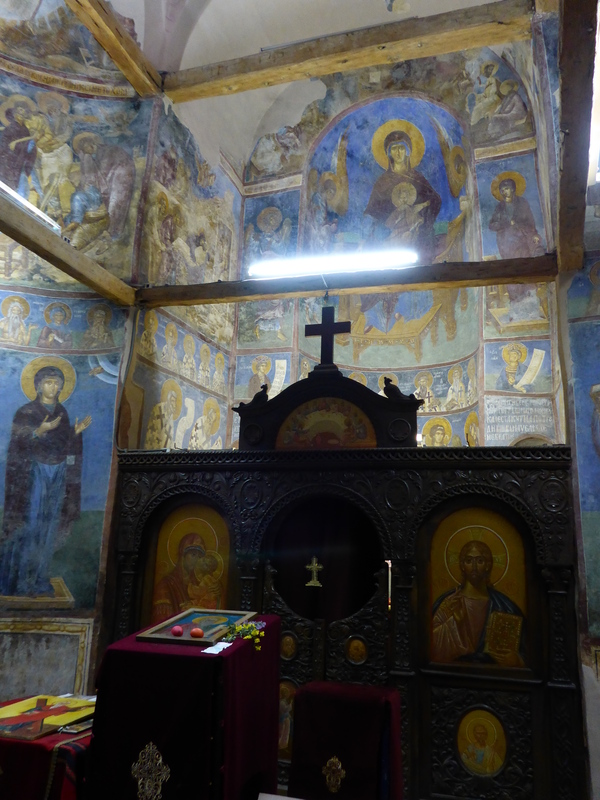 Find more details about Skopje on Macedonia’s official tourism website.